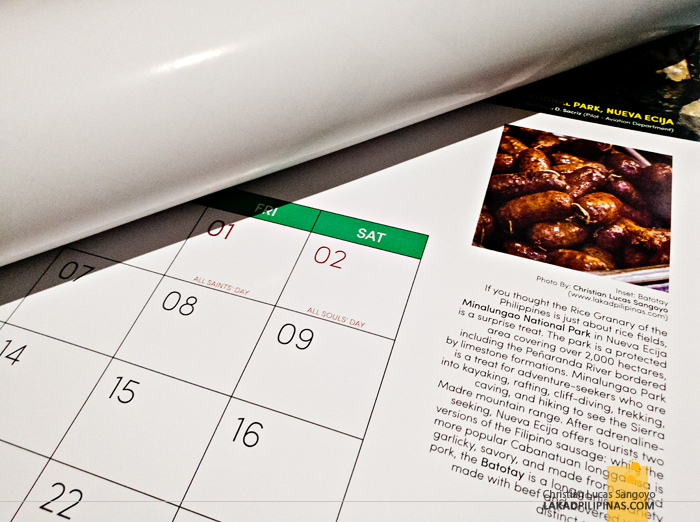 Three of my photographs appeared on NGCP’s 2019 calendar. NGCP or National Grid Corporation of the Philippines is a privately owned corporation that manages the government’s nationwide power grid and transmits power from where it is produced to areas that need it. 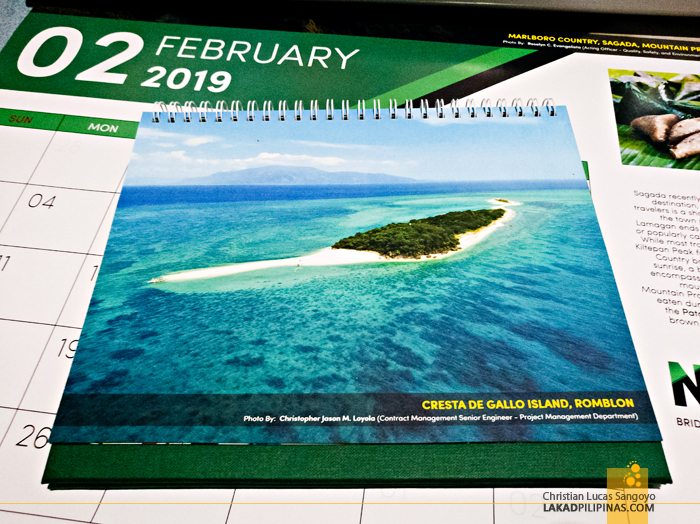 Their calendar focuses on off-the-beaten places in the Philippines, particularly those from Sorsogon, Mountain Province, Iligan City (Tinago Falls), Romblon, La Union, Quezon, Aklan (Bakhawan Eco Park), Antique, Aurora, Surigao Del Sur, Nueva Ecija (Minalungao National Park), and Zambales. 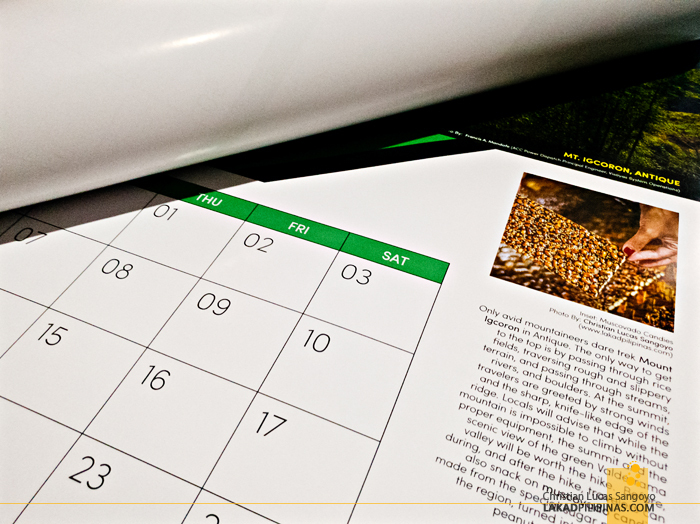 The calendar comes in two format, a huge wall calendar and a small desk version. 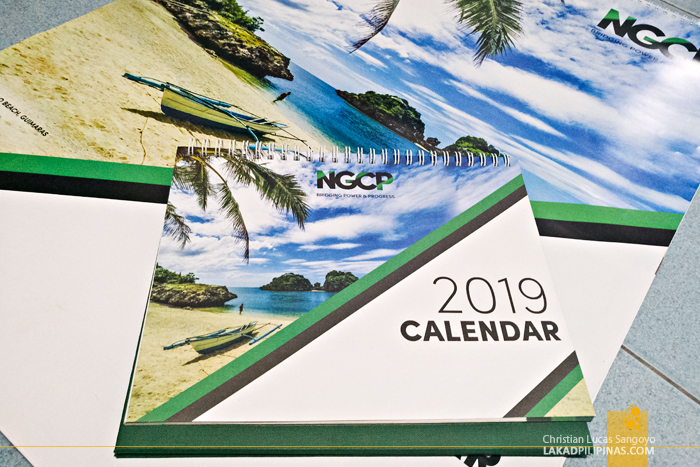 The main photos of each month, which features gorgeous landscapes, are contributed by employees of NGCP themselves thru a photo contest held by the company. These are seriously impressive! 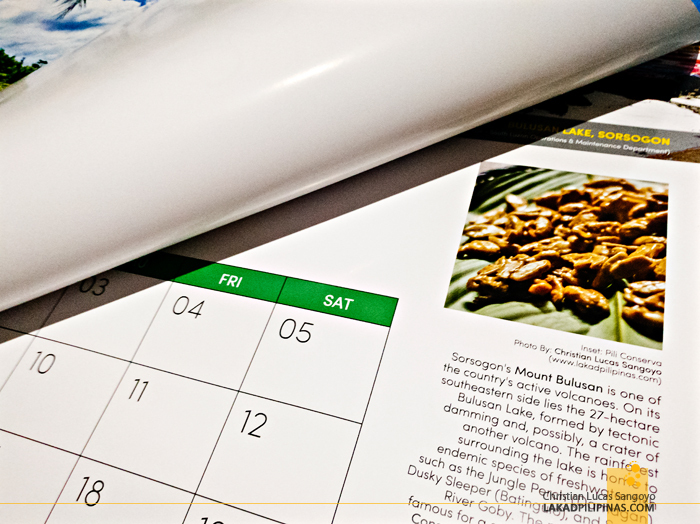 These images are then supplemented by a small thumbnail of local delicacies found on these places, and that’s where a few of my photos come in—pili conserva from Sorsogon, muscovado candies from Antique, and batotay beef longganisa from my hometown in Nueva Ecija. I like that they actually gave me a few copies of the calendar. My mom and aunts would be deliriously happy.